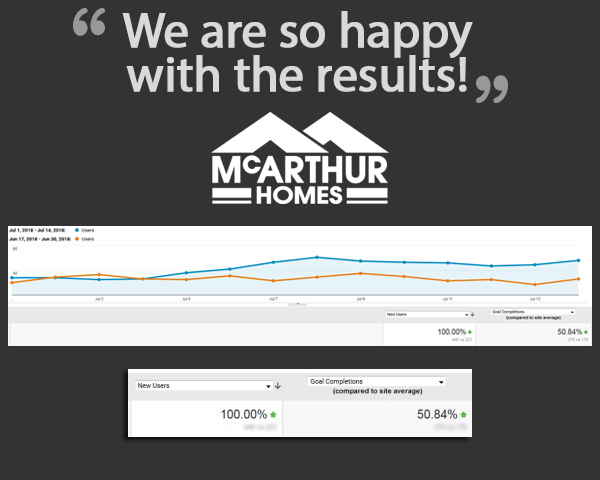 McArthur Homes – PPC Campaign | ASTRALCOM - Content Strategy, Conversion Marketing and Customer Acquisition. McArthur Homes – PPC Campaign | ASTRALCOM – Content Strategy, Conversion Marketing and Customer Acquisition. McArthur Homes is using Search Engine Dominator by ASTRALCOM and so can you! Search Engine Dominator is part of a full suite of services for homebuilders. Getting better results from digital marketing efforts is what we do. Let’s talk about doing it for you, too.